It is a hot Saturday evening on a golden Maltese beach. The stars are glittering in the sky and the sea is calm and flat. The scene is an inviting one and people are merry and taking in the beauty of nature. All well and good, but underneath the surface of the sea, the story is a dramatically different one. Any experiences diver can vouch for this. Plastic and glass bottles, crates, disused tires of industrial size, ropes, forks, abandoned nets and all sorts of other items disposed of irresponsibly by their former users in the sea surrounding the Maltese Islands are the picture we do not see when taking it the breathtaking view of the seascape. This was the catalyst for the Plastic Police Squad, deployed by the QLZH Foundation over last July and August. During these months, 71 members of the environmentally conscious foundation, gave a philanthropic meaning to their Saturdays by visiting nine beaches around the Maltese Islands. 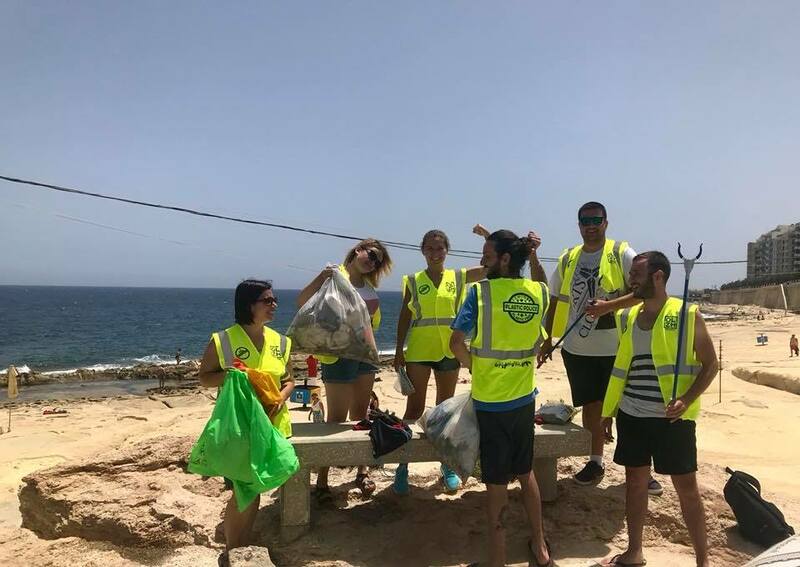 Kitted with high visibility bibs, gloves, and garbage pickers, the squad went around the most populated beaches in Malta raising awareness about the unspoken harm single-use plastic has on the fauna and the marine ecosystem. Although the main goal of this educational drive was to draw the attention of bathers and beach establishments to the use of single-use plastic alternatives, the members of the QLZH Foundation felt compelled to collect any rubbish they came across. A total of 64 rubbish bags were filled with an array of items dumped on the beaches visited. The QLZH Foundation has organised similar activities to tackle the illicit disposal of waste in the sea. On World Ocean Day, the team behind the Foundation, put together an Ocean Bed Clean Up where over 377 kilos of garbage was collected from the Maltese sea. The Group behind the Foundation has also gone single-use plastic free across all of its branch network, which amounts to twenty-five.